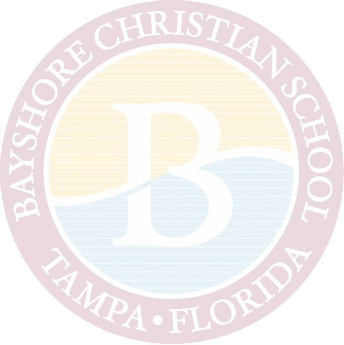 Welcome to Bayshore Christian School, a college preparatory, private Christian school located in the heart of Tampa, Florida. We serve students from age two through the twelfth grade. We provide our students an educational climate that is academically excellent and unashamedly Christian. Our faculty and staff guide students through a methodical process of learning that focuses on core knowledge enriched with the arts, technology, foreign language, and athletics. The Bayshore Christian School graduate is a well-rounded student, abundantly prepared for college and beyond. At the heart of Bayshore are administrators, faculty, staff, students, and parents who have a deep and abiding love for this school. This is what makes us so special. We are Bayshore. We invite you to come see our heart. We are Bayshore: Scholars, Leaders, Faith Warriors! To that end, BCS supports and promotes academic achievement through several honor societies each year. Bayshore Christian School won the Playgrounds of Tampa March Madness contest on Facebook!